Lameness is the number one cause of economic loss in the equine industry. Maintaining proper hoof balance is the key to keeping your horse happy and pain free. Improper hoof balance is the number one cause of equine lameness. An unbalanced hoof can lead to permanent lameness problems like ring bone, navicular disease, bowed tendon and arthritis. At Reata we take the time to evaluate your horse’s hoof balance and track the risk factors that lead to lameness at each wellcare visit. If we find something wrong, we make suggestions for correcting unbalanced feet before a problem occurs. If radiographs are needed to properly assess hoof balance problems, we provide those at a discount during the months of July and December. The images are made available to the farrier and a consult with the farrier is included in the cost. Laminitis is a deadly and painful disease of the horse’s foot but with proper care we can dramatically reduce the chances that your horse will contract this disease. Our wellness program is designed to track the risk factors that lead to laminitis and help you prevent it before it occurs. 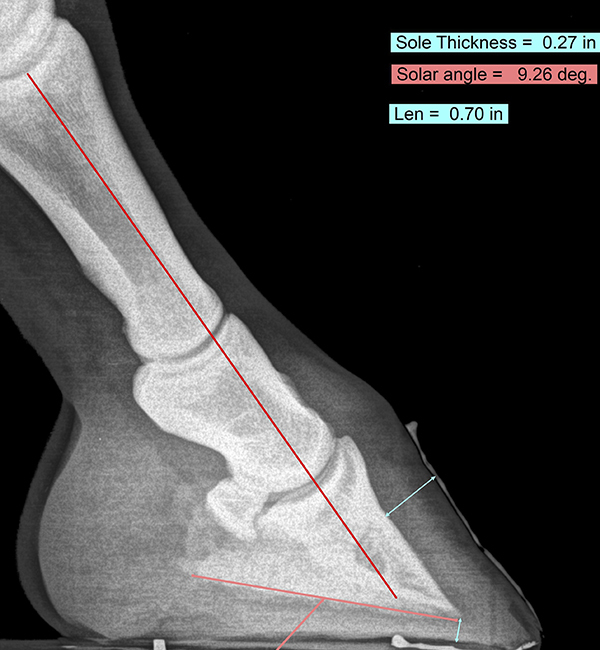 The doctors of Reata Equine use the latest in computer technology, digital radiographs, and shoeing techniques to treat a number of foot problems. Your horse’s feet play a huge role in their ability to perform as athletes or live as family pets. Our goal as equine veterinarians is to use all resources available to us to ensure our ability to identify and treat problems as they crop up. To help us achieve this, we work closely with qualified and respected Southern Arizona farriers. They offer corrective shoeing specific to your horse’s individual needs. We are also able to provide digital radiographs and computerized analysis of your horses foot at the stable or barn. With our fully mobile practice, all of the required corrective techniques we employ can be performed wherever your horse lives. And with the use of modern digital imaging and podiatry techniques, life threatening hoof conditions such as laminitis can be successfully managed at home. 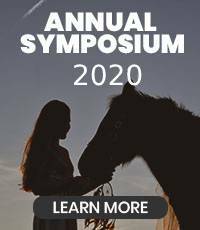 Through dietary control, exercise recommendations, proper shoeing and metabolic control, we can dramatically reduce the incidence of laminitis in our patients. Enrollment in our free wellness plan is a great way to make sure your horse is being examined by one of our veterinarians frequently enough to prevent these problems. If you have any questions about your horse’s hoof health or the farriers we use please feel free to reach out to us. Reata Equine Veterinary Group is proud to offer equine podiatry services for horse owners and trainers in Tucson, Arivaca, Amado, Nogales, Rio Rico, Green Valley, Sahuarita, Sonoita, Sierra Vista, Three Points, Benson, St. David, Tombstone, Bisbee, Palominas, Hereford, Douglas, Wilcox, Dragoon, Mammoth, Oracle, Casa Grande, Corona De Tucson, and the surrounding areas.